As Victoria’s largest alpine resort, Falls Creek is the place for students to become the rider they’ve always dreamed of being. The beautiful European style village with ski-in ski-out accommodation allows you to maximise time on the slopes. With significant capacity for snow-making and highly skilled instructors, there is no doubt students will progress their skills. 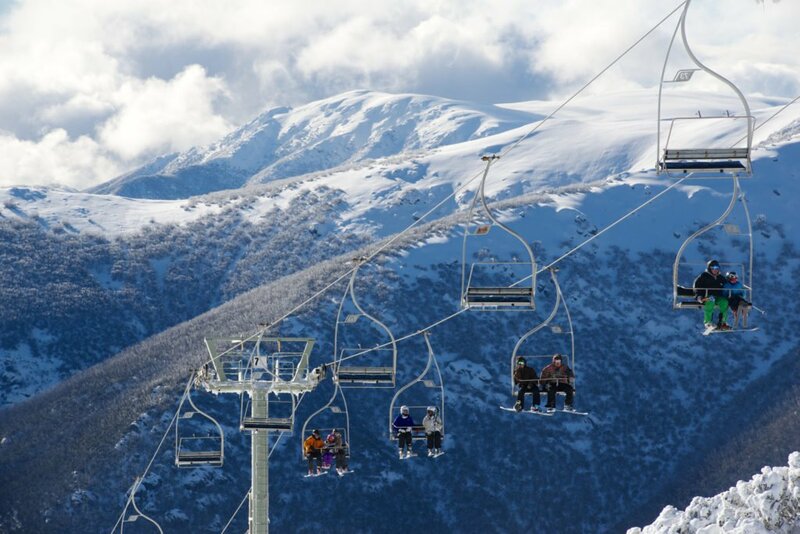 Boasting 92 ski runs, excellent terrain parks, a super pipe, a buzzing village and stunning views, it’s hard to leave Falls Creek. Begin your journey Meet with your group and board your coach to Falls Creek. Arrival Check into your accommodation. Get your gear Collect your lift passes, then head to Snowsports Hire to collect your equipment and be fitted with your snow gear. Afternoon Lesson After lunch, learn how to use all your new equipment when your meet with your ski instructor for your first lesson. Evening Return to your accommodation after your lesson for a tasty dinner. Breakfast Enjoy a hot breakfast before you board the Falls Express lift with your group. Morning Lesson Hit the slopes with your instructor as you continue to master your skills. Afternoon After lunch, it's back out on the slopes to practice your "snow pizzas" and other tricks. Evening Return to your accommodation for a tasty dinner. Optional activity - Snow-making tour Learn how the water capacity at Falls Creek generates snow cover and sustainable hydroelectric power on a Snow-making tour. Optional activity - Snocce Play a game of Snocce with your friends. Optional activity - Night skiing Head down to Wombat's Ramble for an exciting Night Skiing experience! Village Bowl Night Show and Fireworks Head to the Village Bowl to see synchronized skiing demos, snowmobiles, spinning Kassbohrers and fireworks displays! Departure Your last day has arrived. Pack up your luggage before tucking into one final breakfast. Hit the slopes Enjoy your last few hours on the slopes, before you head back and return your snow gear and equipment. On the move Board your coach and begin your journey back home. Thank you for your interest in our WorldStrides Falls Creek Tour! Please tell us a little more about yourself so we can get you sent to the right place.